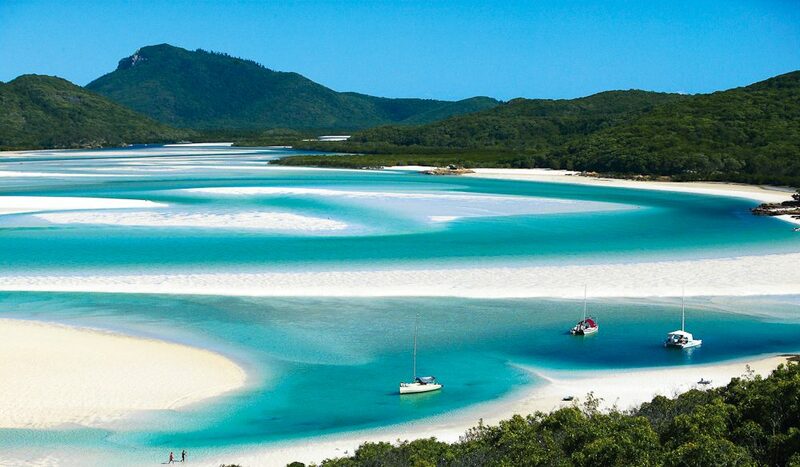 Number one in Australia (and maybe the world) Whitehaven Beach, Whitsunday Island. “You can impress an Australian with a city,” actress Rose Byrne once said, “but you can’t impress them with a beach.” True, but seven-kilometre Whitehaven Beach has won over Australia’s most informed insiders: you. Take a ferry or sail your own yacht, or perhaps even circle in from the air. Seaplanes and helicopters will take you from Airlie Beach, Hamilton Island or Hayman Island, over the impossibly white sand and sparkling turquoise sea before dropping you on that vast stretch of soft silica, bubbly in hand. May we propose a toast?